It is becoming very clear that financial incentives may be more influential in the actions of physicians than most would like. 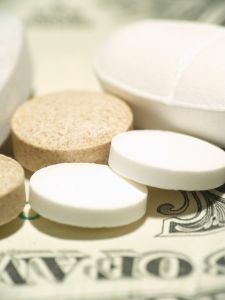 Pharmaceutical companies actively persuade doctors to make certain decisions in order to sell their products; doctors often agree in order to gain some monetary benefit as well. Many physicians today are engaged in the pharmaceutical industry in some way. This involvement could take the form of receiving payment for speaking engagements, consultations, and even by-lining an article that a pharmaceutical representative has written in order to pass it off as expert testimony. It seems apparent that such a relationship between doctors and drug representatives creates a conflict of interest. 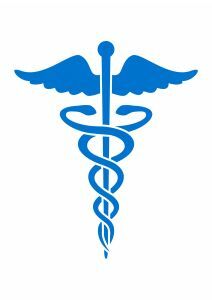 Introducing the desire for profit and competition brings in an element that should certainly be absent in unbiased, professional and service-oriented medical care. The American Association for Justice recently published an article highlighting the comments of renowned physician and academic Dr. Jerome Kassirer. He says, “The evidence is really quite clear that money has a major influence on decisions doctors make.” This conflict of interest goes beyond the decisions of individual physicians; many physicians that serve on FDA drug advisory boards also have ties with the pharmaceutical industry. This introduces biases into both the drugs on the market as well as the drugs being prescribed. Examples of major problems created by unduly influenced physicians include many cases that Borchardt Law Firm currently handles: Yasmin birth control, the da Vinci surgical robot and Medtronic’s Infuse bone graft have led to serious complications after pharmaceutical companies pushed such drugs and devices onto the market without consideration of patient welfare. In fact, the highly questionable relationship between doctors and drug representatives has begun to cause a serious deterioration in the public’s trust in medicine. While many argue that the medical profession ought to be responsible for containing this problem, it has failed to take decisive action on the matter. There must be greater repercussions for pharmaceutical companies’ fraud, off-label marketing, ghostwriting, and regulation violations. Medical schools should also train future physicians on how to resist pressure and adequately deal with the intrusion of the drug industry. Finally, it may be that the pharmaceutical industry should recognize the consequences of their actions (beyond harming countless innocent patients); Dr. Kassirer states, “I don’t think that the drug and medical device industry has understood the fact that, by engaging physicians the way they do, they tend to denigrate the profession, and that’s bad for them.” If self-interest and unencumbered profit seeking got them to this point, perhaps self-interest will entice them to curb their own behavior. Ultimately, patients are entitled to unbiased medical care. The relationship between doctors and the drug industry creates the potential that a patient will not receive the best treatment because financial interests shadow a physician’s judgment. This could cause deadly consequences, and in many cases it already has. The influence of pharmaceutical representatives in medical care tarnishes the quality, neutrality, and transparency of medical treatment. No one should have to die because their well-being was not always the top priority. Many people view the hospital as a safe haven; somewhere they will receive the best possible treatment and care. Few realize the extent of the mistakes, misjudgments and neglect that are always possibilities in a hospital environment. In fact, according to the Fort Worth Star Telegram, “Authorities say more than 400 Americans die every day because of preventable accidents, errors and infections suffered in hospitals.” Given such an alarming statistic, it is no surprise that medical malpractice suits continue to soar. Recently, The Leapfrog Group, a non-profit quality improvement organization has applied a study and grading system to thousands of hospitals all over the country. A grade from A to F is assigned to a hospital on the basis of 26 scores that range from surveys to preventable instances of infection, falls and post-operation complications. There is even a score given for the level of cooperative teamwork amongst hospital staff, because in crisis situations a communication error can often mean life or death for a patient. 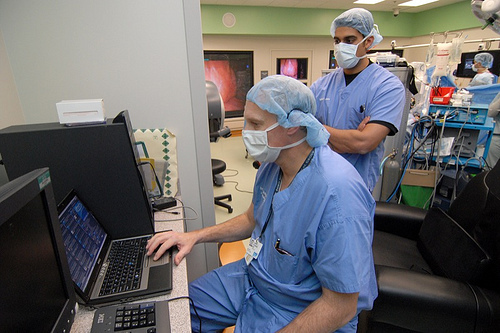 Leapfrog surveyed 219 hospitals in Texas, and the results may surprise many. While five Tarrant County hospitals received A’s, eight received B’s and C’s (no hospital has received a D or F as of yet). An A is awarded to hospitals that exceed national averages on the 26 measures, while C’s are given to hospitals that fall below the national average. Notable hospitals with A grades include Texas Health Harris Methodist Hospital Fort Worth and Huguley Memorial Medical Center. So, what does all of this mean? While there are many criticisms of the Leapfrog survey, claiming that its results are too simple to reflect the complexities of overall hospital quality, it is a powerful reminder not to assume that you are always safe and well taken care of when you enter a given hospital. The fact that several Tarrant County hospitals have failed to meet the safety standards of even just one study is cause enough for greater awareness of the risks one takes in choosing a hospital. It can be difficult for a patient to accurately judge their potential safety, and studies like this are a step in the right direction for giving patients a better understanding of and control over their own well-being. It is essential for patients to do the proper research before choosing any treatment option, because despite recent efforts to increase medical transparency, a true understanding of personal risk can be difficult to glean from the extensive jargon and chaos of a hospital visit. While it should be the job of the medical community to ensure patient safety, such a responsibility can often go overlooked. As hip replacement lawsuits continue to rise, so do serious health concerns about metal-on-metal hip replacements. According to the New York Times, a top Boston surgeon went in to replace his 53-year-old patient’s hip and found devastating results. What researchers had warned patients of years ago has finally sunk in. The patient’s metal-on-metal hip replacement had been shedding tiny pieces of metallic debris that eventually led to what looked like a “biological dead zone. There were matted strands of tissue stained gray and black; and a large strip of muscle near the hip no longer contracted.” (New York Times) The damage was far worse than test results had shown and looked to be permanent. As studies continue to prove metal-on-metal hip replacements aren’t working properly, doctors and surgeons are trying new tests to find better results before the problem worsens. Patients are encouraged to be aggressive about consistently testing their results for metal levels and to speak to their doctors about recent recalls. What Caused Your Child’s Cerebral Palsy? About one out of every 400 Americans born is diagnosed with Cerebral palsy. If your child suffers from Cerebral palsy that developed during the early stages of life or during childbirth contact our law firm Borchardt Law Firm to discuss your legal options. Cerebral palsy is a complex affliction that involves damage to the part of the brain that controls posture and movement. While the precise cause of Cerebral palsy may be difficult to identify, many experts believe that medical negligence during the birthing process can cause or exacerbate the severity of the diagnosis. According to a Cerebral palsy source, Cerebral palsy is classified into four categories: Spastic, Athetoid (dyskinetic), Ataxic and Mixed. •Spastic Cerebral palsy affects 70 to 80 percent of patients and is characterized by stiff or permanently contracted muscles. • Athetoid Cerebral palsy affects 10 to 20 percent of patients and is characterized by uncontrolled, slow, writhing movements. • Ataxic Cerebral pasly is a rare form that affects 5 to 10 percent of patients. This form of cerebral palsy affects the sense of depth and perception and results in poor coordination and difficulty with quick or precise movements. • Mixed Cerebral palsy occurs when a patient has symptoms of two or more of these forms. Many combinations are possible, but the most common mixed form is a blend of the Spastic and Athetoid forms. To learn more about Cerebral palsy, please watch the following video. Is DePuy Orthopaedics facing yet another possible recall due to a defective medical device? August of 2010, the DePuy ASR XL Acetabular was recalled due to unusually high rates of hip implant failure within only a few years of surgery. DePuy estimated the failure rate to be about 12-13 percent and was designed to last up to 15 years. However, results showed otherwise. Several patients ended up in constant pain resulting to a revision surgery. Due to the design of the ASR, the metal material was a leading factor in the failure. Adverse Event Reports disclosed to the Food and Drug Administration (FDA) that the DePuy ASR hip system is associated with “loosening, pseudotumour and metallosis” / (sic) metalosis.” Metallosis occurs when the DePuy ASR metal ball rubs against the metal cup which releases metal shavings of cobalt and chromium into the tissue and circulatory system. This causes tissue necrosis and osteolysis, killing or severely damaging body cells and tissue. Four months after the recall an article written in the New York Times discussing the issues with DePuy hip replacements stated, “failures in new implants are much more likely rather than failures with new drugs because unlike new drugs, many of which go through a series of clinical trials before receiving approval from the Food and Drug Administration, critical implants can be sold without such testing if a device, like an artificial hip, resembles an implant already approved and used on patients. That way, manufacturers can rapidly make small changes to a device to improve it. But those simpler procedures have also effectively created a loophole, experts say, that lets producers bundle a component from an unapproved implant into an existing design and sell a device with minimal testing. With the ASR, that process unfolded with devastating results. ‘You are basically testing these devices in an uncontrolled way on a large number of people,” said Dr. Sidney M. Wolfe, the director of the Public Citizen’s Health Research Group and a longtime F.D.A. critic. '” That August DePuy issued a recall for more than 90,000 of the DePuy ASR metal hip implants. Read more about the recall in The New York Times. Now, concerns have developed about all metal-on-metal hip implant procedures causing surgeons and doctors to rethink implants. DePuy Orthopaedics still offers one other type of metal-on-metal hip implant, the Pinnacle. The Pinnacle has a slightly different design, using a cup and a liner, whereas the ASR only uses the metal cup. Patients and surgeons are able to choose a metal-on-metal, metal-on-ceramic, or a metal-on-polyurethane line to be inserted inside the metal outer cup for the Pinnacle. However, studies have shown the metal-on-metal option for the Pinnacle has proven to cause very similar problems as the ASR model, mainly concerning the release of metal shavings of cobalt and chromium into the tissue and circulatory system. In May 2011, nearly 60 DePuy hip lawsuits were incorporated in multidistrict litigation (MDL), all citing problems with the Pinnacle procedure. As of today, DePuy claims their Pinnacle device is safe, and any problems that have been accounted for are from surgeon error, though the Pinnacle is the subject of these recent lawsuits and were recently concentrated in the Northern District of Texas.